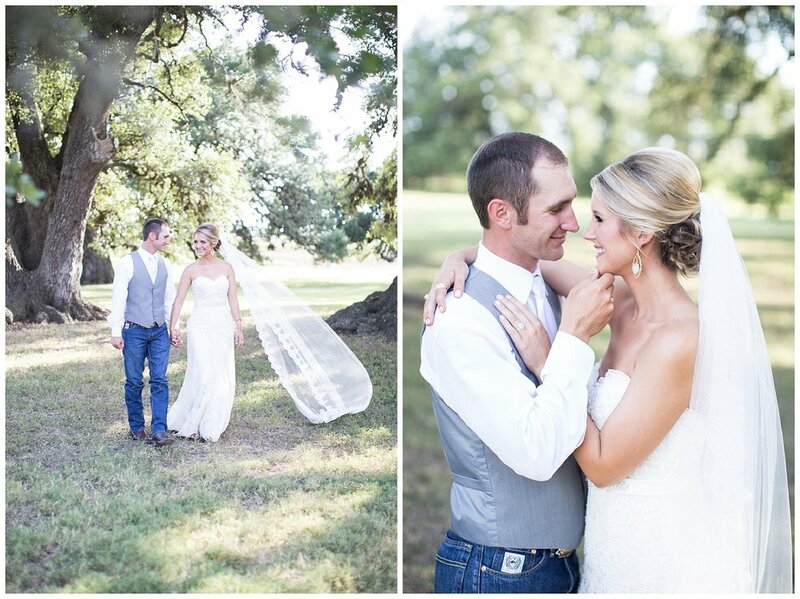 Lesa and Chance were college sweethearts and both coming from small town Texas roots, their wedding at Moore Ranch on the Brazos was the perfect rustic setting, with a touch of glam. Lesa is a talented calligrapher and designed and calligraphed her own invitations and signage. 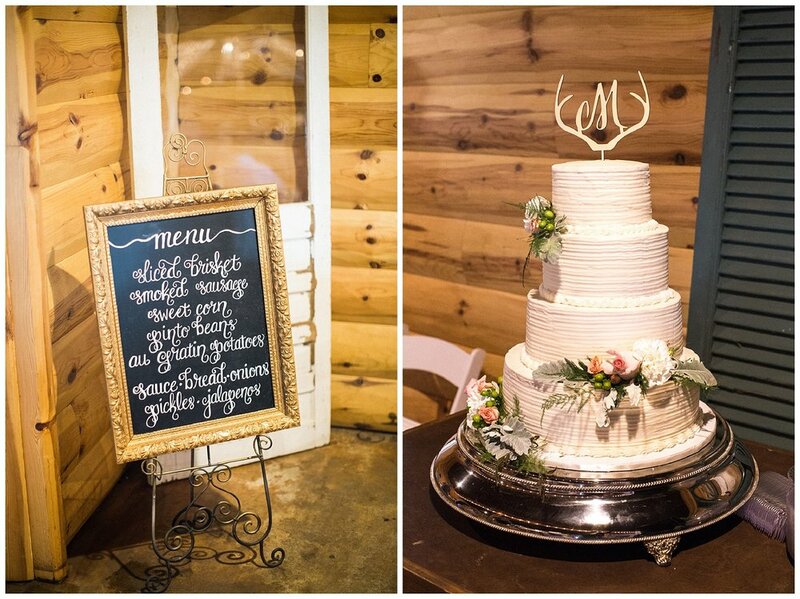 Their wedding crest with the antlers was used throughout the day and the theme was carried everywhere in the venue, with deer antlers being woven into the decor in such a beautiful way. 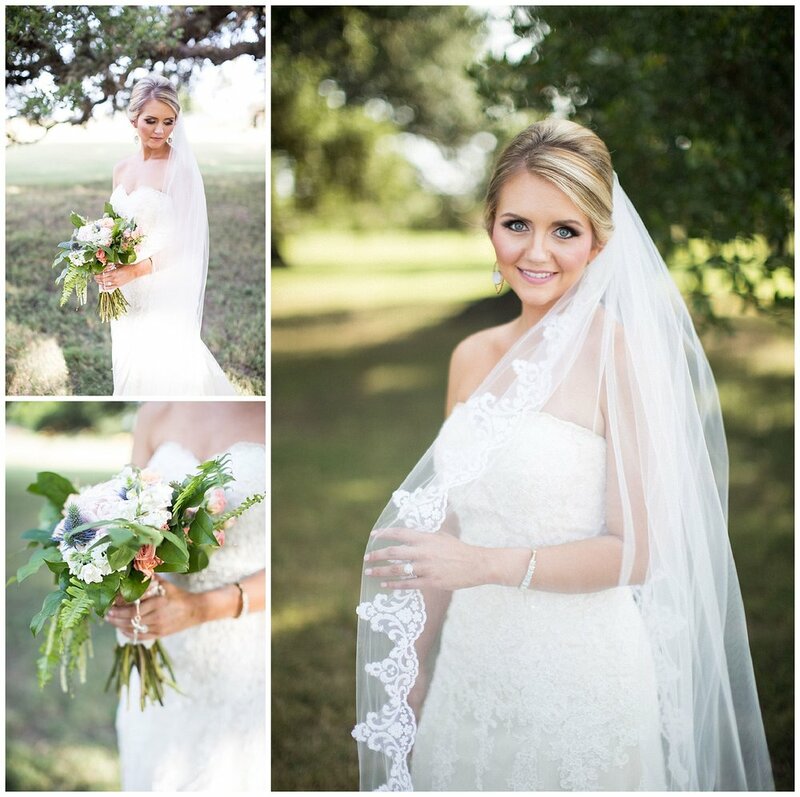 We love Lesa's cathedral-style veil and how it blew in the wind under the massive sprawling oaks at Moore Ranch. 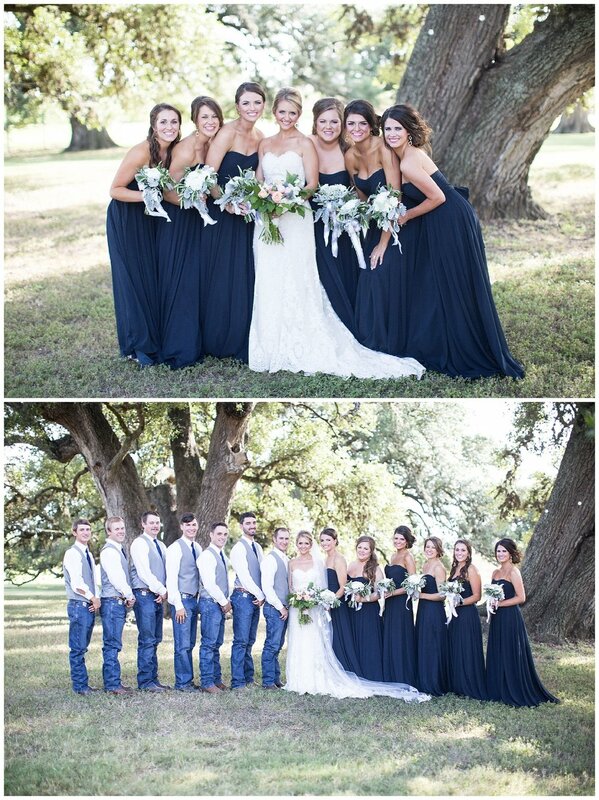 Their day was what we like to call rustic and refined - a nod to their lifestyle and what they love, but elegant at the same time!